For fundamental and pioneering contributions to Monte Carlo methods and Bayesian computation; for successful development of the Gibbs motif sampler for understanding gene regulation; for highly influential contribution in reconstruction of haplotypes from single nucleotide polymorphism data and the inference of epistatic interaction; and for the advancement of statistics in China. Jun Liu is Professor of Statistics at Harvard University, with a joint appointment in the Harvard School of Public Health. He was a Changjiang Scholar at Peking University, and also Guest Professor at Tsinghua University. Dr. Liu received his BS degree in mathematics in 1985 from Peking University and Ph.D. in statistics in 1991 from the University of Chicago. He held Assistant, Associate, and full professor positions at Stanford University from 1994 to 2003. 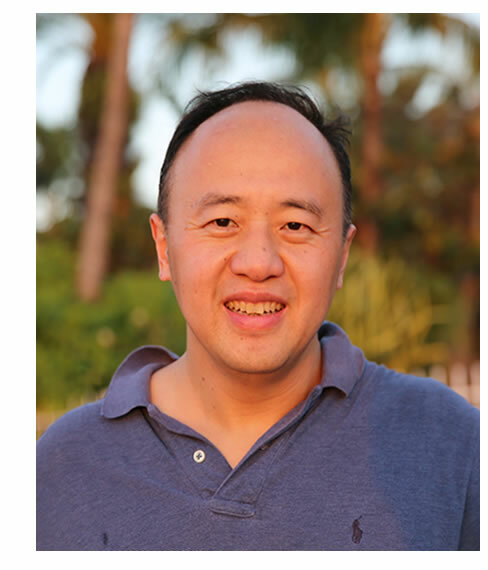 Dr. Liu won the NSF CAREER Award and the Stanford Terman fellowship in 1995, won the Mitchell Award for the best statistics application paper in 2000. He was a Medallion Lecturer of the Institute of Mathematical Statistics (IMS) in 2002, a Bernoulli Lecturer in 2004, and a Kuwait Lecturer of Cambridge University in 2008. He was elected to Fellow of the IMS in 2004 and Fellow of the American Statistical Association in 2005. He served on numerous grant review panels of the NSF and NIH and editorial boards of numerous leading statistical journals. He was a co-editor of the Journal of the American Statistical Association. In 2002, he received the prestigious COPSS Presidents' Award (given annually and jointly by five leading statistical associations to one individual under age 40). In 2010, he was awarded the Morningside Gold Medal in Applied Mathematics (honored once every 3 years to an individual of Chinese descent under age 45). In 2012, he was honored with the Outstanding Achievement Award by the International Chinese Statistical Association. Dr. Liu and his collaborators introduced the statistical missing data formulation and Gibbs sampling strategies for biological sequence analysis in early 1990s. The resulting algorithms for protein sequence analysis, gene regulation analysis, and genetic studies have been adopted by many research groups and become standard tools for computational biologists. Dr. Liu has made fundamental contributions to statistical computing and Bayesian modeling. He pioneered sequential Monte Carlo (SMC) methods invented a few novel Markov chain Monte Carlo (MCMC) techniques. His studies of SMC and MCMC algorithms have had a broad impact on both theoretical understandings and practical applications. Dr. Liu has also pioneered novel Bayesian modeling techniques for discovering subtle interactions and nonlinear relationships in high-dimensional data. Dr. Liu has published one research monograph and more than 200 research articles in leading scientific journals, and is one of the ISI Highly Cited mathematicians.